A freehold on an area of forest in Galloway is currently available. John Clegg & Co offer to the market the Glenling Woods, which are located in the Machars area of Wigtownshire. For sale as a freehold or in three lots, the woodlands are located next to the B7005 road which runs from Bladnoch to the coast at Luce Bay by Alticry. This is a consultation route for timber transport and has recently been used for hauling all the timber from Lots 2 and 3 without difficulty. Airylick Wood (Lot 1) sits on the south side of the B7005 and partly straddles the minor road heading south from High Glenling Farm to Mochrum. It is anticipated that a couple of roadside loading bays will be required when felling is planned, which has already been agreed with Dumfries and Galloway Council. There are two access tracks crossing the property at points A1-A2 and A3-A4, which are shared with the neighbouring proprietor. Culshabbin Wood (Lot 2) is situated on the north side of the B7005. A good bellmouth and access track runs into the woodland from point A5 to the centre of the property, with a four- wheeldrive track round to point A6. 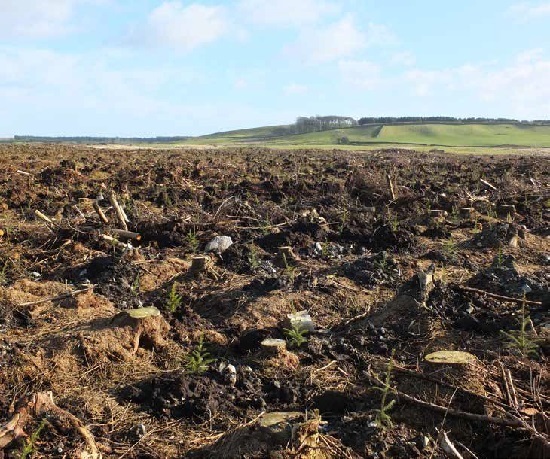 Airylick Wood was planted in 1982 with mainly Sitka spruce that is now mature and ready for felling. This will yield a significant volume of timber over the three felling phases currently planned within the draft Long Term Forest Plan. Sitka spruce is the main species to be replanted, along with some Norway spruce and broadleaves. Both Glenling Moss and Culshabbin have been felled and replanted very recently under Felling Licence FLA01158. All areas have been drained, mounded and planted with mainly high yielding genetically improved Sitka spruce, using strong, healthy tree stock, which has been treated for the first flush of the season against weevil damage. Once these areas establish, they will provide an excellent crop of timber for the future if properly maintained. Lot 1 – Airylick Wood. Area: 54.06 Hectares / 133.58 Acres. Price: Offers over £625,000. Lot 2 – Culshabbin Wood. Area: 40.02 Hectares / 98.89 Acres. Price: Offers over £100,000. Lot 3 – Glenling Moss Wood. Area: 20.28 Hectares / 50.11 Acres. Price: Offers over £50,000. The sporting rights are included with each lot and are currently let. Lot 1 is let to the neighbouring proprietor of Mochrum Estate until 31 July, 2020 for £350 per annum for deer stalking and sporting rights; sporting rights excluding deer stalking have been reserved until 31 July, 2025. This includes concurrent rights for the owner of Lot 1 to prevent damage to tree crops. Lots 2 and 3 are let until 26 September, 2018 on an annual rent of £252. Roe and Red deer are found in this area along with a variety of wild game bird species. 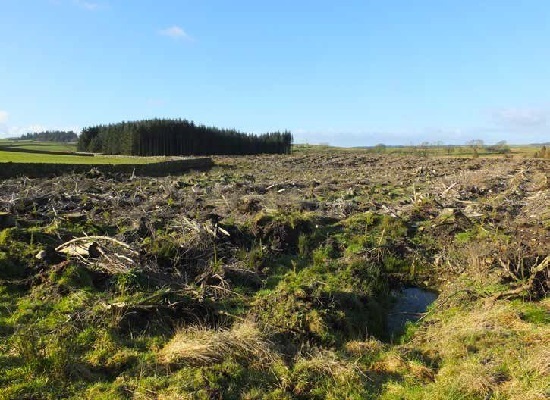 The post Forest freehold is available as a whole or in three lots appeared first on Scottish Field.